20 Best Harry Potter Themed Products. 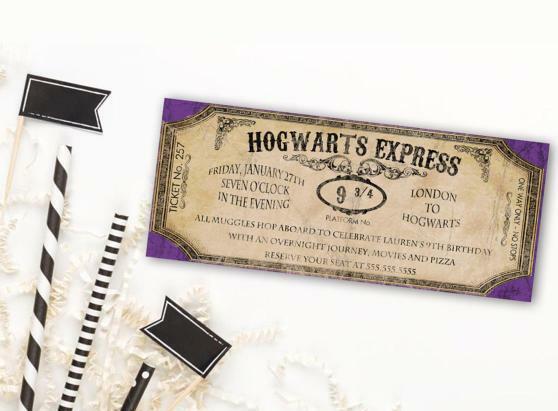 Kids all over the world may be waiting or waited for an owl to get them their acceptance letter to Hogwarts. 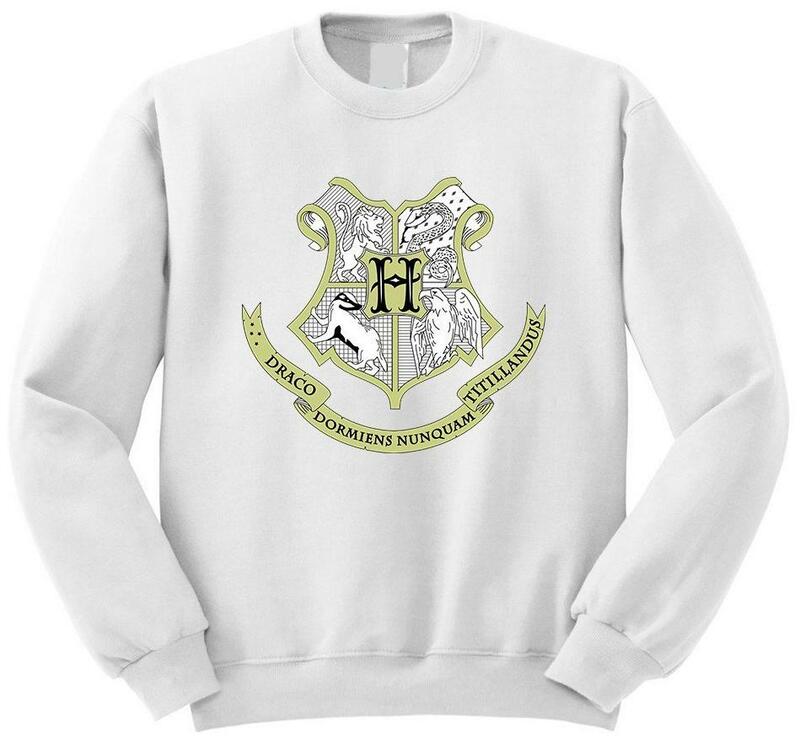 But the letter of admission to the Hogwarts School isn't for everyone, isn't it? Then on a second thought, it's a fictional world, and according to them we are muggle born in the muggle world who aren't supposed to know about them. And if still want to be a part of Hogwarts, then these 'Harry Potter Themed Products' are perfect for you. 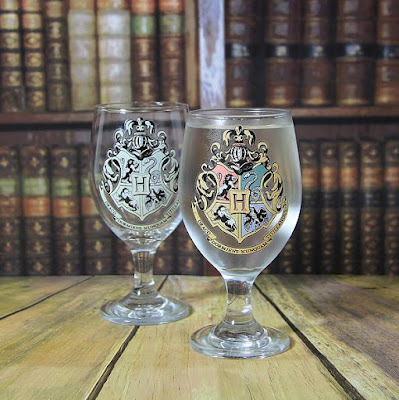 Hogwarts Color Change Glass: The Hogwarts Color Change Glass features the Hogwarts crest, the symbols of each of the four school houses and also the school motto. Just pour a chilled drink into the glass and the design comes to life, with each of the four quadrants changing to their respective colors. Buy Now. Harry Potter Watch: Remember Platform 9 ¾ that gives access to Hogwarts Express? 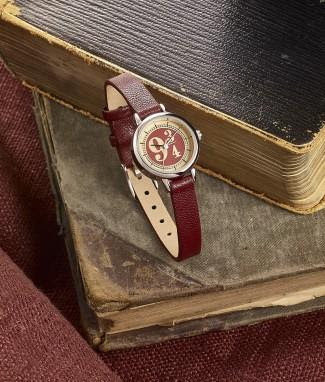 Now we have for you this Harry Potter Platform 9 3/4 Watch that features a 9 3/4 logo on the face. Buy Now. 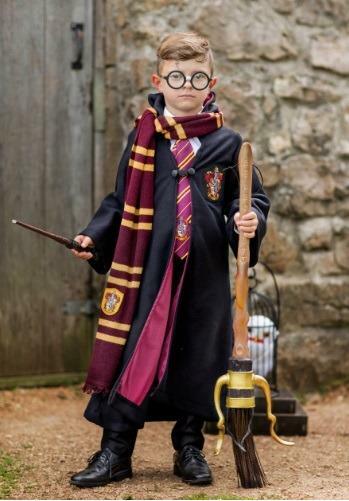 Harry Potter Costume: The Harry Potter Costume is perfect for turning your little boy into a world famous hero in the muggle world. Buy Now. 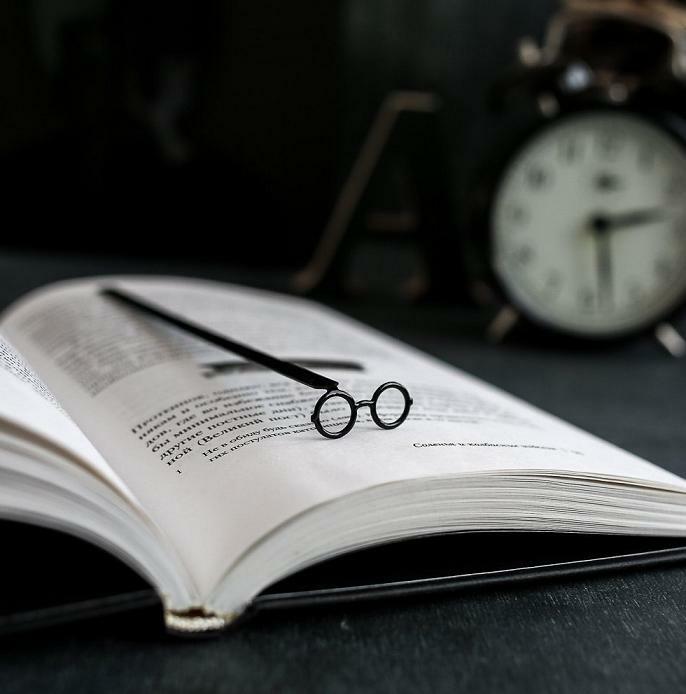 Harry Potter Theme Notebook: The Harry Potter Theme Notebook is perfect for you to write down your thoughts and its up to you to fill it with secret and interesting contents. Buy Now. Hogwarts Lamp: The Hogwarts Lamp takes its inspiration from iconic crest of Hogwarts School, features the symbols of all four houses and also includes the famous school motto in Latin. It can be powered using 3 AA or USB cable. Buy Now. Harry Potter Platform 9 3/4 Cufflinks: The Hogwarts students can get on Hogwarts Express train through Platform 9 ¾, and that too when the train is waiting on the platform. 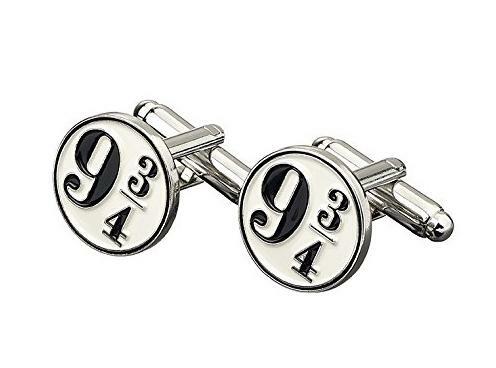 Now wear these cool Harry Potter Platform 9 3/4 Cufflinks and let the world know your liking for Hogwarts. Buy Now. 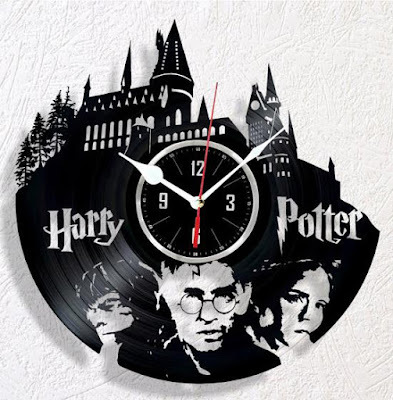 Harry Potter Clock: If you are into records and Harry Potter, then this Harry Potter Clock is perfect for you. Buy Now. 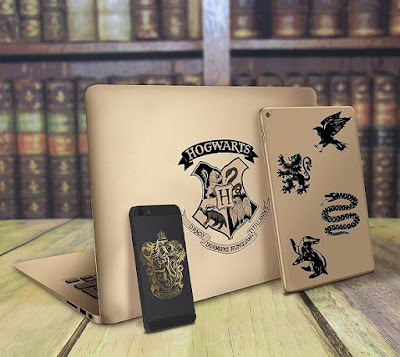 Harry Potter Gadget Decals: The Harry Potter Gadget Decals are perfect for customizing your laptops, smart phones, and smart devices. Comes in a variety of different sized stickers to suit all your devices. Buy Now. 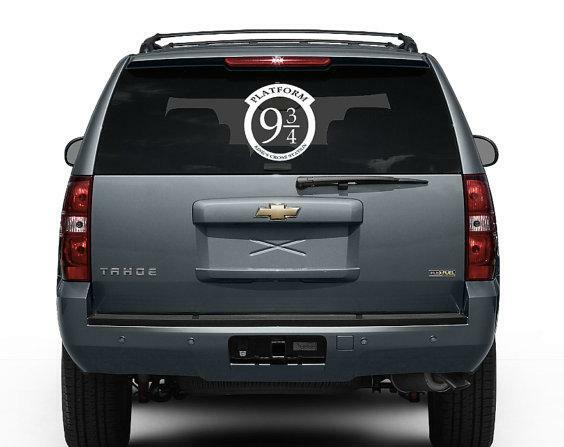 Platform Nine and Three-Quarters Decal: Now proudly show your interest in Harry Potter with cool Harry Potter inspired decal. 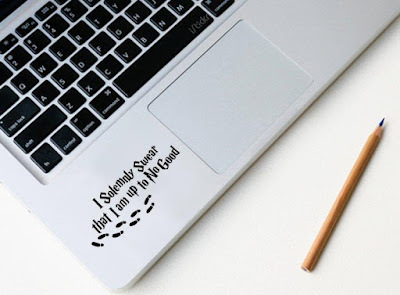 Place on your car or laptop, its your call. Buy Now. 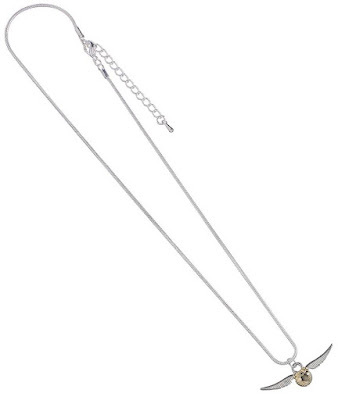 Harry Potter Goldensnitch Necklace: The Goldensnitch is the third and smallest ball used in Quidditch and it's a Seeker's job to catch it. And its not an easy task, but you don't need to be a Seeker to have the Goldensnitch, we have for you this Goldensnitch Necklace that you can wear and for sure it wont fly away. Buy Now. 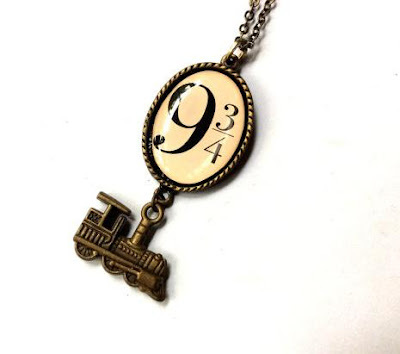 9 ¾ Platform and Train Necklace: The hidden platform 9 ¾ from where the Hogwarts Express passes gives access to a selected few individuals, and now you can wear it and let the world know about your liking for Harry Potter. Buy Now. 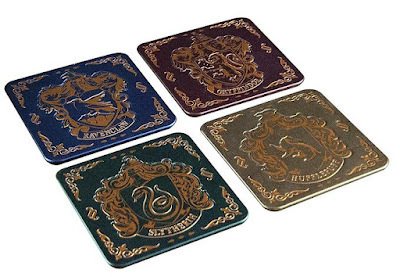 Hogwarts Crest Coasters: The Harry Potter themed drink coasters come with cork backs to protect your tables and surfaces while you celebrate in the muggle world. The coasters are inspired by the four houses of Hogwarts School. Buy Now. Harry Potter Birthday Invitation: Make your kid's birthday a memorable one with these Harry Potter Birthday Invitations, for sure the kids are going to really like it. Buy Now. Harry Potter Light Switch Sticker Decal: We aren't the selected few who can just utter the words and the lights turn on, but we can still stick this cool Light Switch Sticker Decal. 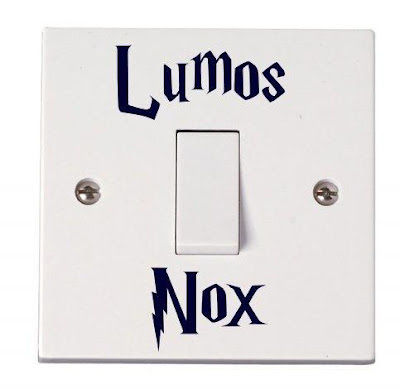 On second thought, still we have to go and turn the lights on manually in this muggle world unless we automate it. Buy Now. 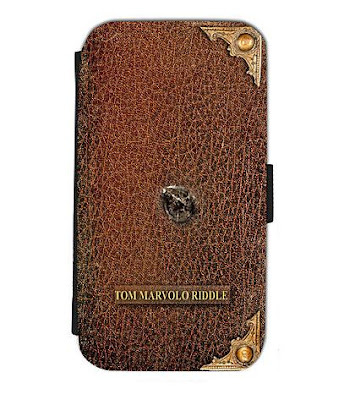 Tom Riddle's Diary Phone Case: The Tom Riddle's Diary Phone Case is here to protect your smart phone, while on the outside its going to create an impression of you having the Tom Riddle's Diary. Buy Now. Harry Potter Glasses Bookmark: If you are an avid reader, then you know the importance of a bookmark; then why opt for commonly used card or leather bookmarks to remember where you left off? Buy Now. Polyjuicepotion Pillowcase: Wont it be cool if the polyjuicepotion really worked and we can transform? 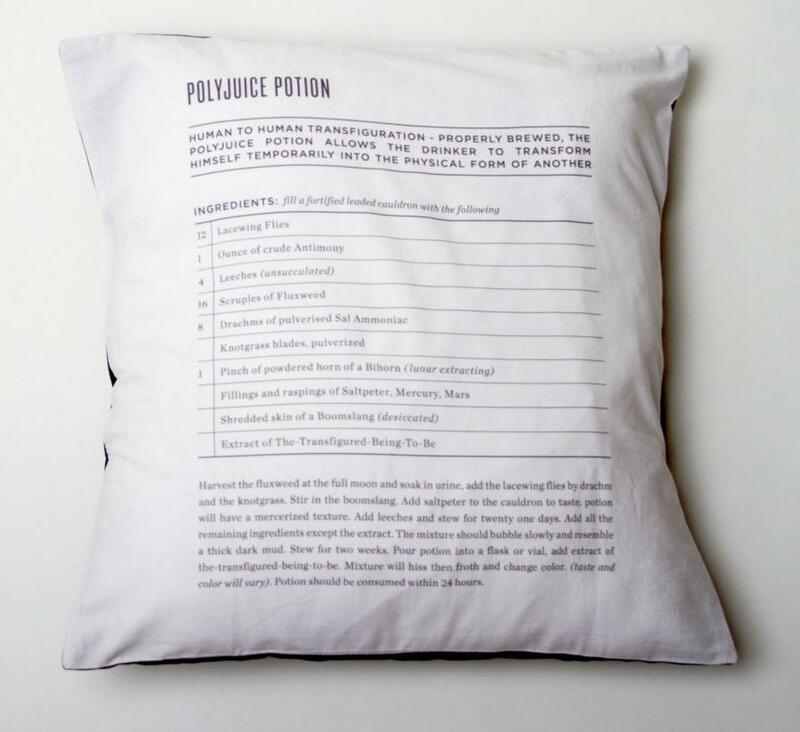 Only if it was real; but until someone comes with some tech in this muggle world you can have some comfort with this Polyjuicepotion Pillowcase. Buy Now. Harry Potter MacBook Decal: Now customize your Macbook, Macbook Pro or Macbook Air with these Harry Potter MacBook Decals. Buy Now. 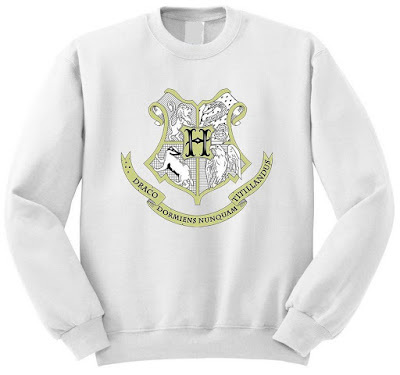 Hogwarts Crest Sweatshirt: If you have waited for an owl to get you an acceptance letter to Hogwarts but it never came in, then no problem, you can still wear a Hogwarts Crest. Buy Now. 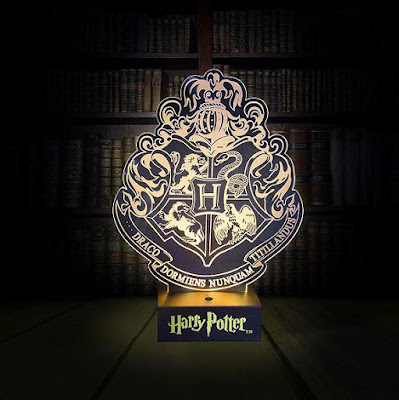 Hogwarts Express Bookends: The Hogwarts Express is a fictional legendary train that takes students to the school, but this Hogwarts Express is here to keep your books in order. 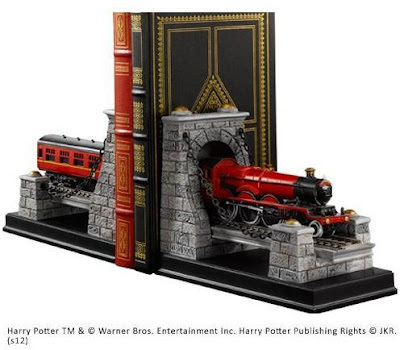 These Hogwarts Express Bookends create a scene where the carriages and engine are entering and exiting a tunnel while holding your favorite books. Buy Now. 20 Best Train Themed Products. 20 Best Guitar Themed Products. 20 Best Bathrobes For You. 20 Best Skateboard Themed Products. 20 Best Watermelon Themed Products. 20 Best Cactus Themed Products. 20 Best Dog Themed Products. 20 Best Volkswagen Car Themed Products. 20 Best Wall Shelves for You. 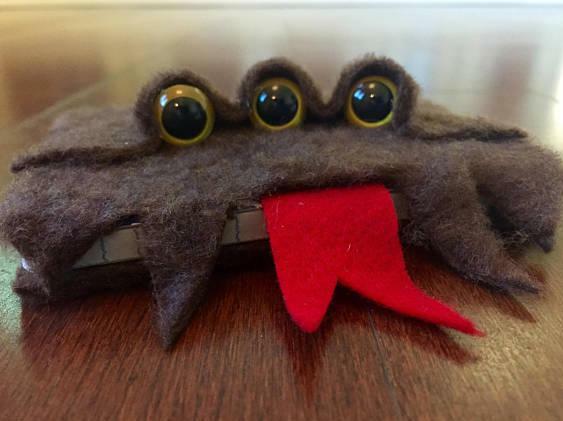 20 Best Spiderman Themed Products. 20 Best Pineapple Themed Products. 15 Best Bath Spout Covers For Your Baby. 20 Best Grooming Products for You. 20 Best Airplane Themed Products. 20 Best Nautical Themed Products. 20 Best Butterfly Themed Products. 20 Best Placemats for Your Dining Table. 20 Best Salt and Pepper Mills. 20 Best Rocket Themed Products. 20 Best Jeep Themed Products. 20 Best Soap Dishes To Keep Your Soap Dry. 20 Best Rings for You.